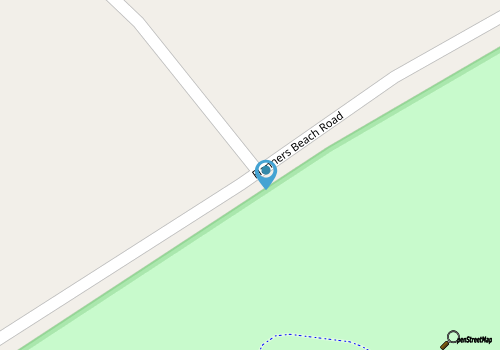 The Neuse River Recreation Area is located about 12 miles south of New Bern along US 70, and is virtually hidden about a mile down a quiet side road. 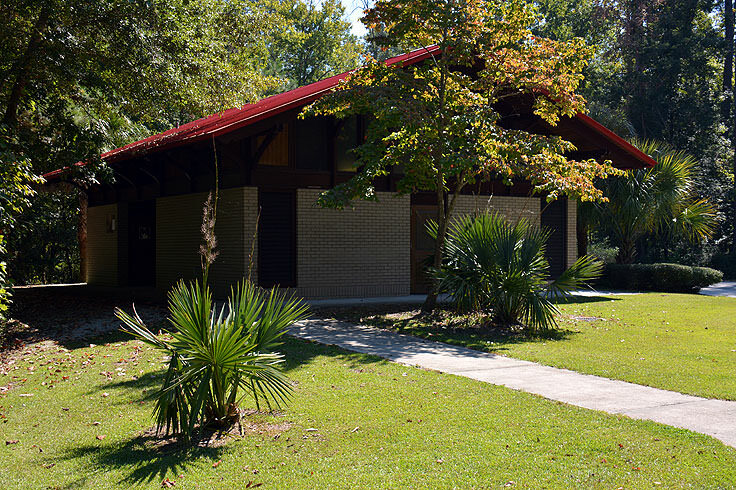 An essential component of the Croatan National Forest, the area is unique in that it is essentially a half-beach and half-wooded retreat, allowing guests to enjoy hiking and secluded camping, in addition to a day stretched out on the "sand" banks of the Neuse River. There are 42 campsites within the campground, which can accommodate both tent camping and RVs. 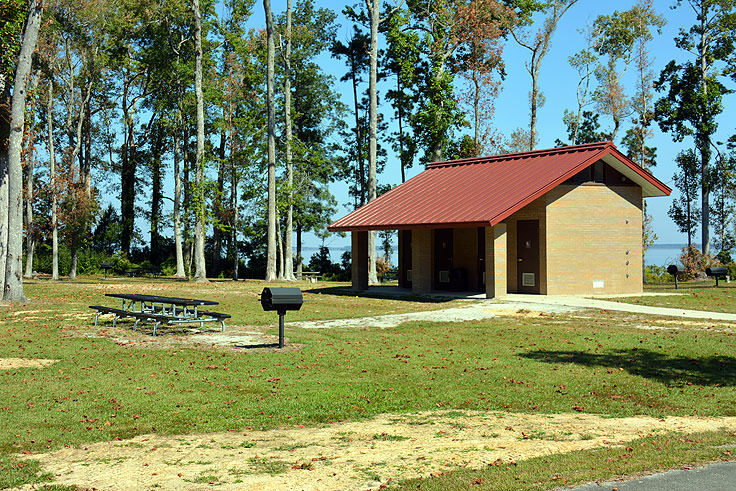 All of the sites feature a picnic table, park grill, tent pad and lantern poles, and 14 of the sites also feature electrical hook-ups. 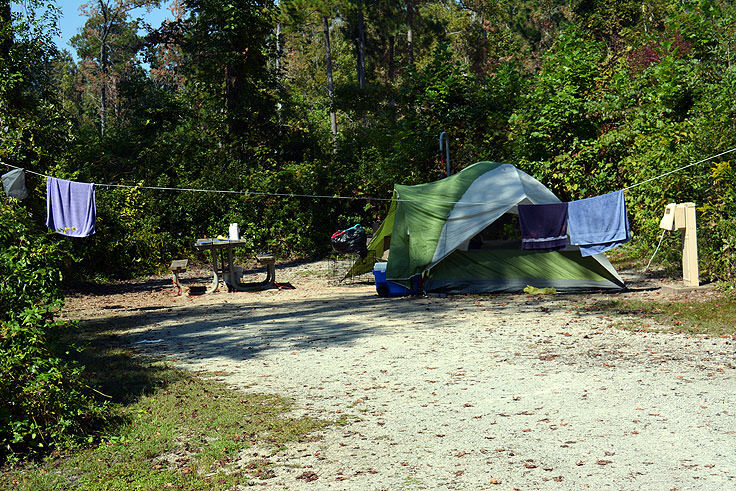 The camping fee is approximately $12, or $17 for sites with electricity, and the "loop" of campsites available makes it easy for any camper, despite their location, to access the public restrooms and bathhouses (complete with hot shower facilities), drinking water, and dump station. Despite being relatively close together, the sites are all located within a wooded region of the recreation area, ensuring plenty of privacy for guests. 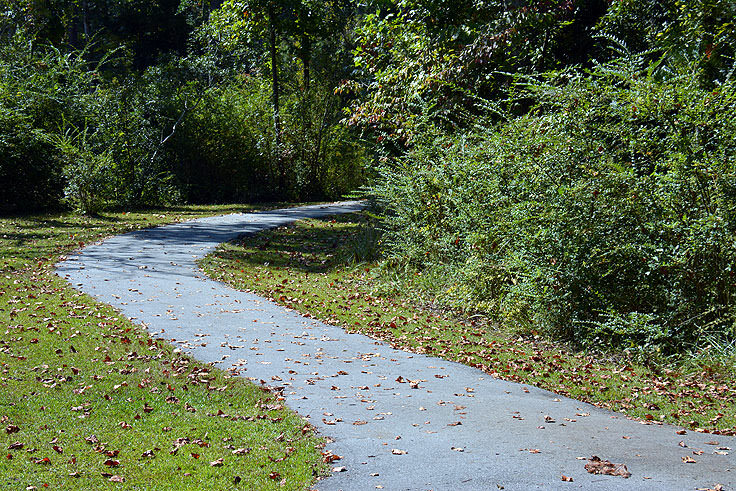 Hiking is a popular activity in this region, with several nature trails, including the Beede Loop Trail and the Wright Loop Trail, encircling the inner perimeter of the campsites. Following rustic paths through the wooded terrain, bird watchers and nature lovers may be able to spot a variety of both coastal and "mainland" species, including herons, ibises, cardinals, jays, and even hawks and eagles. 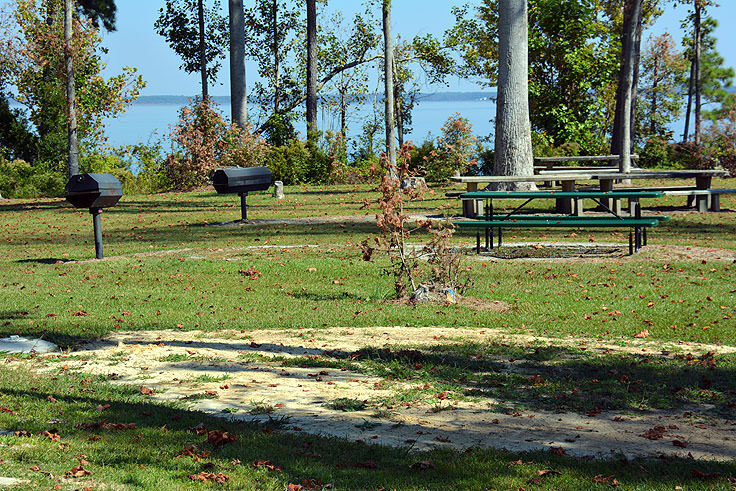 The star of this campground, however, is the completely unique and popular Flammers Beach, which is a long stretch of shoreline that borders the Neuse River and is accessible by a stairway on the borders of the campsites' designated area. At the top of the stairs, visitors will find a changing room with cold showers and flush toilets, and just a few yards away lies an expansive picnic area for sunny barbecues and lunches overlooking the water. On the beachfront, visitors will find ample room to spread out a towel and soak up the sun off the water. The area is very popular with swimmers of all ability levels, as the safe, shallow bottom extends for hundreds of yards in the river. With no big waves and no rushing currents, a day at Flammers Beach is an ideal adventure for families with young children who love splashing, but who might be a little too small for the big Atlantic Ocean waves crashing just miles away. Fishing is also exceptionally popular here, and is permissible off the sandy banks. Anglers can expect to reel in a number of fresh and saltwater species that are exceptionally tasty catches, including Striped Bass, Rock Bass, Sunfish, Largemouth Bass, Crappie, Bluegill, Flounder, and Gar. An expansive parking area is located close by for day trippers or folks passing through who want a glimpse of this unusual and remarkable shoreline, and a ranger station is also on site, open Monday through Friday from 8:00 a.m. until 4:30 p.m., to provide regional information for both visitors and campers alike. Pets are allowed at the Neuse River Recreation Area, but must be kept on a 6' foot max. leash at all times. Alcohol is not permitted within the area, and campers may stay up to 14 days at a time. Visitors should be advised that reservations are not accepted, and the campsites are available on a first come, first serve basis. 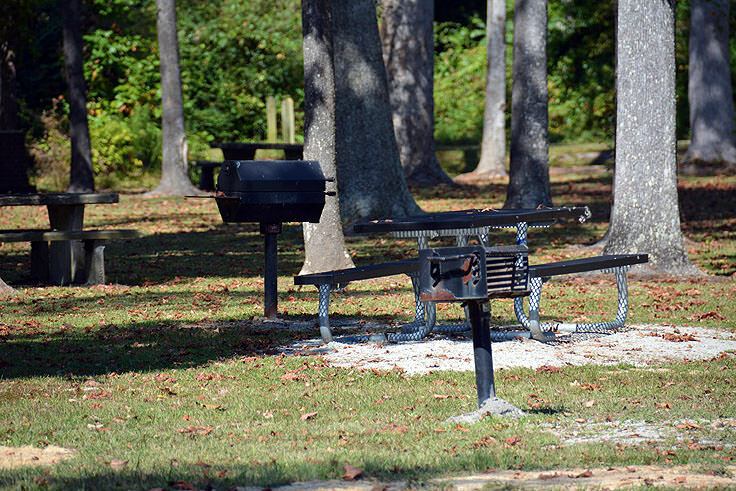 As such, and because the Neuse River Recreation Area is a popular destination for visiting and local campers and beach lovers, potential campers should arrive early, or have a back-up plan on popular summer and holiday weekends. Many locals attest that the early fall, (especially after Labor Day weekend), is an ideal time to go, as the campground is generally uncrowded, and the water temperatures are perfect for swimming, kayaking and general splashing around. Summer visitors will also want to bring along sunscreen, plenty of bug spray, and will also want to keep an eye out for ticks, especially after a long hike through the Croatan National Forest. 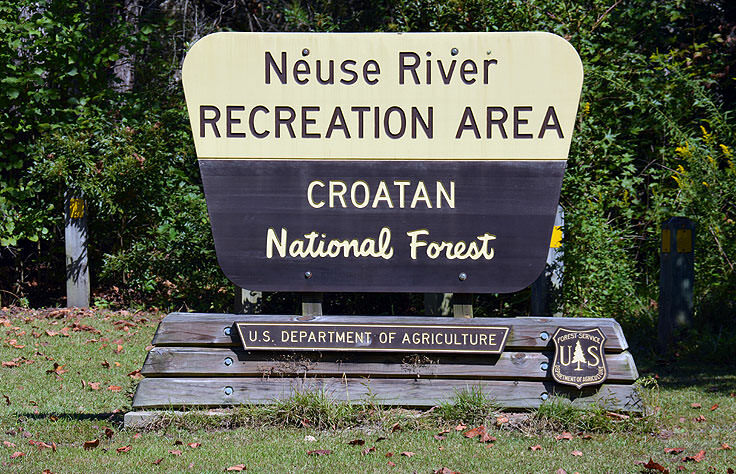 For questions on expected availability or overall facilities, potential visitors can contact the Croatan National Forest at 252-638-5628. 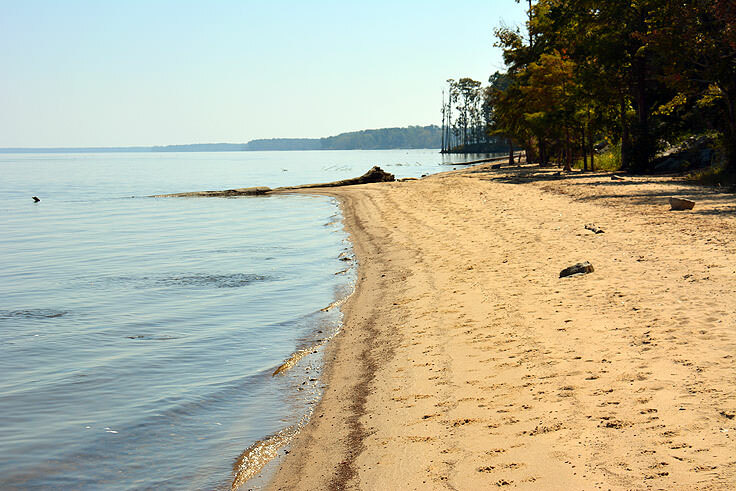 An interesting destination that encompasses the best of both the beaches and mainland communities of North Carolina's eastern regions, the Neuse River Recreation Area is a must for water and nature lovers everywhere. Ideal for day-trippers, overnight stays, and full week-long vacations, life at this locally popular and perfectly scenic recreational area is simply a day at the beach.